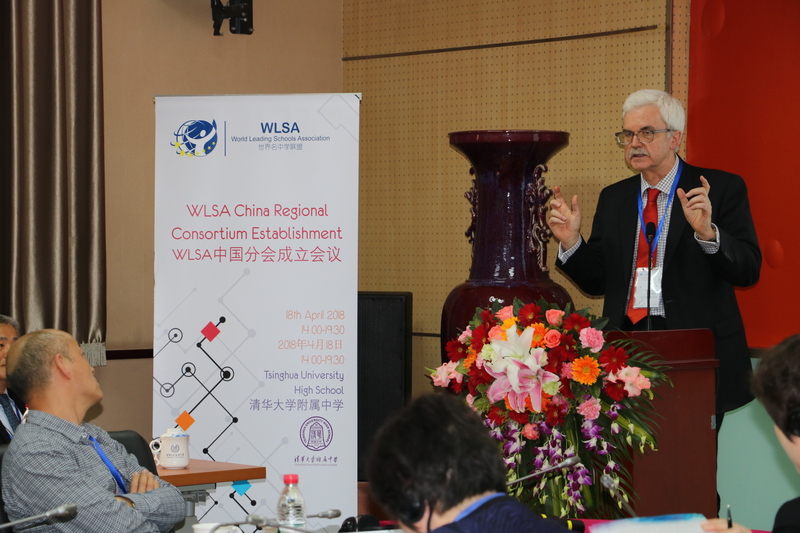 The establishment of World Leading Schools Association Regional Consortium (WLSA China) was held at the Tsinghua University High School in Beijing. The meeting brought together Tony Little (the Honorary Chairman of WLSA Executive Board), Joseph Edelsack (Partner and Operations Manager, Duolingo), Dianju Wang (Chairman of WLSA China Board, Principal of Tsinghua University High School), Jack Jia (Secretary ,WLSA Executive Board) and the school leaders of more than 30 high schools. The aim of the meeting was to congratulate the achievements of WLSA and to thank its many supporters. Furthermore, the spotlight was shown on WLSA’s new partnership with Duo Lingo and introduction to the WLSA STEAM course marking a new leap forward in the exchange of International Education.